The uses of solar pathway lights is limitless, ranging from illuminating small house walkways to large walkways found around university campuses, parks, hospitals and business areas. Appropriate lighting enables people to see where they are going and makes the surroundings visible. On top of that, they can be visually appealing and shape the impression walkers have of the area. To make sure pathway lighting is adequate, here the steps to go through before the installation. What type of pathway is it? Small narrow pathways around a home or relatively small gardens will do well with small light fixtures that cast light low and are placed close to the ground. This is because there are usually additional sources of light around the pathway, so the whole area is commonly well lit and pathway lights just make sure the path is clearly visible. For larger pathways that are three feet wide and more, stronger fixtures are needed. Pathway LEDs can be customized to illuminate only the path or the surroundings as well, for added safety. These fixtures are commonly overhead. What power will the pathway lighting be? Pathway lighting can be connected to the utility grid or be solar-powered. When they are powered through the utility grid, it’s best when that is done in the landscape design process. If electrical pathway lighting is to be installed after the construction, that requires trenching, breaking up the concrete, wiring etc. It’s highly disruptive of the landscape and could be time-consuming, as well as expensive. Solar pathway lighting takes much less time and it’s less expensive. It can come in two design options depending where the solar cells are located. One variant is that every lighting fixture has its own solar cell, which is commonly fixed to the top. However, there are two disadvantages to this type. The first one is that when the fixture has the solar power source incorporated in itself, it’s more prone to vandalism (this goes especially for small fixtures). Another downside, or limitation, is that these fixtures work best when they are not under trees. They have flat panels and that may prevent them from storing enough energy during the day. Sometimes they don’t serve all night because some cannot have enough backup for all that period. The other variant is to have a single solar power source that remotely serves multiple lighting fixtures. This is called a solar power assembly. This is a safer way and less prone to vandalism because the solar panel can be secured and set up high above the ground. This option holds numerous advantages. The first is that the panel can be set up in a place where maximum sunlight exposure is ensured. Second, there is enough back-up power for spells of cloudy or inclement weather. Solar pathway lighting is excellent when the lighting is an afterthought, because it takes much less time to install and it doesn’t depend on the availability of utility electricity. Solar pathway lights can work with a timer that turns them off during times they are not needed or they can be on all night when security reasons call for such measures. You should also take into account that LED lighting has a longer life expectancy than incandescent lights. Are there any architectural requirements? Is the pathway located in a historic area? Are there any other lighting fixtures installed that would require the new installations to have a matching design? Are there any other design considerations that would impact your choice of pathway lights? If you are thinking of installing solar pathway lighting, make sure you contact Greenshine New Energy to ask about products and services. 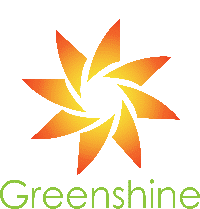 Greenshine New Energy is a leading manufacturing and installation company that specializes in outdoor solar lighting. We value innovation, integrity and high-quality, so you can be sure our products and services guarantee top level of customer satisfaction. Contact us today and find out more about our pathway lighting!